No matter what part of the world you live in, there will be rocks in your locality that were formed during the Flood of Noah’s day. It is time to increasingly ‘take them back’, renouncing the millions of years and the naturalistic interpretations attached to such formations, and explaining their true origins and spiritual significance. Obviously this will require careful study of the local rocks from a biblical geological perspective, but for those who are serious about making the effort, Tas Walker’s ‘Biblical Geological Model’ is a good place to start. 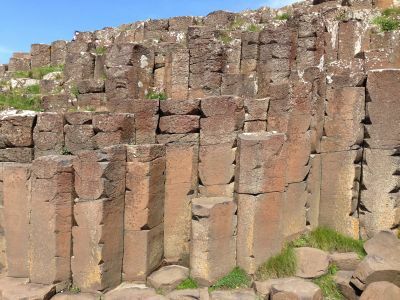 The Giant’s Causeway, Heritage Site in Northern Ireland has been subject of much debate in recent years concerning how and when the 40,000 interlocking basalt columns were formed. The debate regularly sees calls to censor any creationist interpretations of the site, and attracted world attention in July 2012 when the new Causeway tourist centre included a small reference to the existence of this alternative viewpoint. Secularists were quick to mount a noisy objection. CMI has published a number of articles explaining, for instance, how the Causeway would have formed during Noah’s Flood and the significance of the reddish inter-basaltic beds at Giant’s Causeway. In the current battle of worldviews we need to take back the history of these stones. As with all rocks that were formed during the Flood they are not just a ‘pile of stones’, but have a huge spiritual significance. As a visible demonstration of God’s judgement on mankind’s sin, the stones give us the opportunity to tell our children and many other people of God’s actions in history. Such real life geological examples can then be used to orientate and point people to the truth of the Bible and the need for their salvation which can only be found in the Lord Jesus Christ—see Acts 4:12. There is overwhelming evidence found in the stones all around us, consistent with a worldwide Flood at the time of Noah; for examples see polystrate fossils, fast octopus fossils, hundreds of jellyfish fossils, flat gaps and much more at Geology Q&A’s. God has not hidden from view the evidence of His previous judgement of sin. It is also an important reminder of God’s coming final judgment of sin at the prophesied end of this cursed earth and heaven. 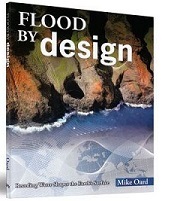 Mike Oard’s latest book covers one of the lesser traveled pathways in the creation-evolution debate; that of geomorphology, the study of landscapes. Given that landscapes, by means of the camera, are one of the most visually recorded, appreciated and discussed entities on the planet it is rather surprising that the profile of geomorphology is not higher in these debates. This book does much to rectify this situation and place this study in its rightful context, providing compelling evidence for the reality of the biblical Flood that is observable to people everywhere as they go about their daily lives. In simple language with concise usage of references, Mike shows in his opening chapter that orthodox science is bereft of constructive explanations for mountains, plateaus, mesas, planation surfaces, huge canyons and gullies. The notion of slow and gradual development of valleys, river systems, glacial systems and various scenic entities as a consequence of gradual development is simply not in keeping with the evidence presented before our eyes. Given that there is a wealth of material on the study of geomorphology, it is rather surprising that experts in the field express considerable doubt as to having any explanations for the development of the landscapes they describe. Mike draws reasoned conclusions in each chapter as he takes the reader through a number of well-known landforms, showing how uniformitarianism fails to explain the evidence. He then describes how their formation can be elegantly explained using Noah’s Flood. The book is very readable with a nice easy flow to the text and a wealth of photographic material that adds to the landscape wonders that Mike is expounding. Add to this the recognition that water is one of the critical elements in the development of landscapes then the natural conclusion is that the Flood as described in Genesis, in particular its Recessive stage during which the floodwater’s flowed from the continents into the newly forming oceans, is the causal factor for the scenery observed throughout the earth today. This is the central theme of Oard’s book. If you want to better understand the scenery and natural features of the landscape and strengthen your belief in the Bible as TRUTH then get this book.